This week I took a short drive to two local homes of the author of the best science fiction novel ever written (as voted by college professors who were teaching science fiction). He was born in New Smyrna Beach and died in Daytona Beach. It was a quiet trip of only a handful of miles, but it took me back 40 years. Nestled with other homes on the beachside of Daytona are two residences where Walter M. Miller, Jr., and his wife lived a secluded life made possible by royalties from the greatest sf novel, A Canticle for Leibowitz, winner of science fiction’s highest prize, The Hugo Award. Since its publication in 1960 it has sold millions of copies. A few years later, in 1967, Canticle was recognized as “the high point” of all religious science fiction novels, and critic and science fiction novelist Brian W. Aldiss noted in his Billion Year Spree: The True History of Science Fiction that reviewers of Canticle “said it was so good it couldn’t possibly be sf (science fiction)” (Moskowitz 410; Aldiss 279). As I drove to Miller’s homes, my thoughts returned to the late 1970’s when I was teaching classes of science fiction at Spruce Creek High School, and I smiled to myself, remembering how I wrote and published some of my own fanzines (amateur science fiction magazines), including artwork of my students. When I parked the car across from one of Miller’s homes, I remembered how excited I was as a teacher when I learned that Walter M. Miller, Jr., was living right here in Daytona Beach, so I hunted down his phone number and called to ask him to come speak to my classes, but he was guarded and hesitant–finally declining, saying that for many years he had been suffering what he referred to as writer’s block. It was as though Faulkner or Hemingway was telling me that he had given up writing 15 years ago because of writer’s block. Miller had quickly developed from a “commercial writer” of what many would call pulp fiction to become an artist of novelistic writing. 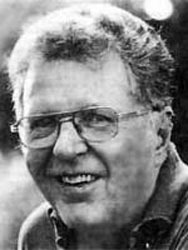 He had published his first science fiction short story in 1951, and he had stopped writing just nine years later at age 37 (Samuelson). I was introduced to Miller’s Canticle at the Daytona Beach Community College in 1974 in Pat Bennett’s science fiction course, which I was taking for credit to extend my teaching certificate. At the time I thought of myself as a young man who had already travelled much in science fiction, so as I entered her course I was quietly judgmental about what books she would select, but I soon realized that she was confronting us with a broad range of science fiction, and her choices have stood the test of time, including Arthur C. Clarke’s Childhood’s End, Theodore Sturgeon’s More Than Human, Kurt Vonnegutt’s Player Piano and also Cat’s Cradle, as well as the Hugo Award-winning A Canticle for Leibowitz. None of us, not even our instructor, knew that the author had been born in New Smyrna, nor that he was secretively living in Daytona Beach. He said little more, but he meant that he’d not written for years and years. 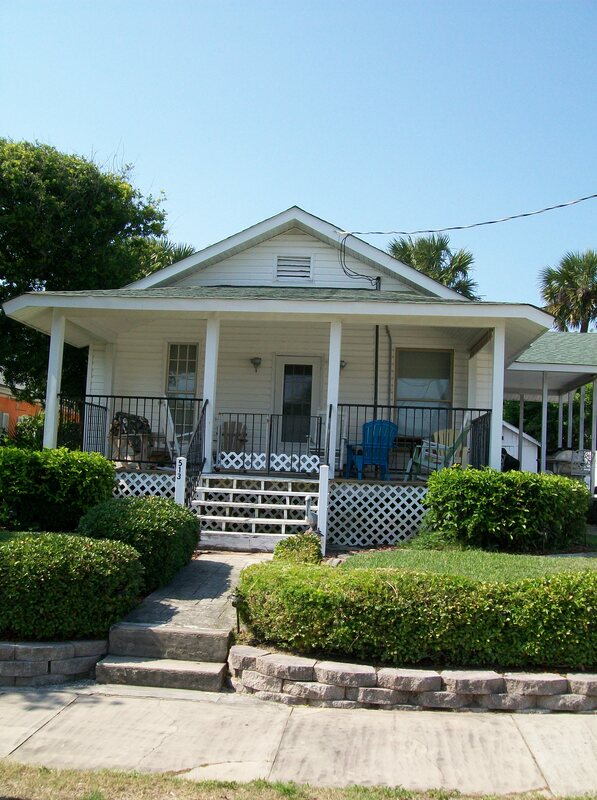 New Smyrna Beach is where Miller’s eventful life began, where he was born as an only child on January 23, 1923, when his father was working there for the Florida East Coast Railroad, and Miller’s childhood home still stands today at 705 South Magnolia Avenue, though in recent years it has served as a chiropractor’s office (“Walter M. Miller, Jr. (1923-1996)”; Nolan 103). When Miller was 18 years old, the Japanese attacked Pearl Harbor, and he hurriedly enlisted in the Army Air Force the very next month, leaving New Smyrna Beach to face some of the most brutalizing experiences of World War II. Miller began as an Army Air Corps radioman, but soon he encountered traumatic battle engagements as a young B-25 tail gunner, surviving 53 bombing missions over Italy and the Balkans. His quiet upbringing in New Smyrna Beach had not prepared him for his conscience-wrenching participation in the bombing of the Benedictine Abbey at Monte Cassino, the oldest monastery in the Western world. Although the bombing of this German strategic position was necessary, Miller’s active role devastated him, even though prior to the war he had openly considered himself an atheist in college. After the war, two years of mulling his war experiences may have been what compelled him in to convert to Roman Catholicism in 1947 when he was 25 (“Walter M. Miller, Jr. (1923-1996”). Fellow Hugo-winning science fiction novelist Joe Haldeman says that World War II caused Miller to have “Post Traumatic Stress Disorder for 30 years before it had a name.” No doubt, the anguished confliction Miller must have felt during the Vietnam War was the reason that in his living room he kept a photograph of Ron Kovic, the paralyzed Vietnam War veteran and anti-war activist whose memoir Born on the Fourth of July was filmed by Oliver Stone with Tom Cruise (1989) (“Walter M. Miller, Jr.”). Miller once said, “[It] never occurred to me that Canticle was my own personal response to war until I was writing the first version of the scene where Zerchi lies half buried in the rubble. Then a lightbulb came on over my head. . . is this the abbey at Monte Cassino? . . . What have I been writing?” (“A Canticle”). In 1945, Miller married Anna Louise Becker, and they eventually had four children. For three years Miller studied engineering at the University of Texas, Austin (1947-1950), but he did not complete his degree. At about that time, he was injured in an automobile accident, and while recuperating in the hospital he wrote his first story, which was published in the prestigious American Mercury magazine, but after this he wrote nothing but science fiction, beginning a successful, but short, career in writing science fiction short stories, publishing more than three dozen in a variety of magazines (1951-1959) (“Walter M. Miller, Jr. (1923-1996”). His successes earned him a contract to write scripts for the popular TV show Captain Video, which he and other science fiction writers improved with their talent in science fiction themes (“Captain Video”). Miller’s writing improved quickly, and in 1955 he produced his first Hugo Award winner, The Darfsteller, which won in the category for novelette (short novel). That same year he published a short story in The Magazine of Fantasy and Science Fiction that later would become the major portion of the first third of A Canticle for Leibowitz, and in the writing of two additional related stories he realized that the three stories together could comprise a novel. He wrote, “Only after I had written the first two and was working on the third did it dawn on me that this isn’t three novelettes, it’s a novel. And I converted it.” (“A Canticle”). As I mentioned earlier, Canticle, a dystopian (anti-utopian) novel set in the post-nuclear holocaust earth, is regarded as a science fiction masterpiece, comparable with Aldous Huxley’s Brave New World, George Orwell’s 1984, and Nevil Shute’s On the Beach. David Nolan in The Booklover’s Guide to Florida writes, “Some say it is the best science-fiction novel ever written” (Nolan 103). Miller’s work influenced the direction of science fiction in the 1950’s and 1960’s. Miller had moved to Daytona by the time Canticle was published in 1960 (though the copyright says 1959), and it won the Hugo in 1961 and has been published in hardcover and paperback in more than 40 editions, never going out of print since it was published 54 years ago. It continues, even today, to show up persistently in “Best Science Fiction” lists, and most prestigiously, Miller’s masterpiece has been voted as the “best all-time science fiction novel” in the Poll Awards of Locus magazine, considered to be the predominant science fiction “news organ.” Canticle has won this award not once, but three times (“A Canticle”). New Smyrnans and Daytonans can take pride in Miller’s accomplishment. Canticle was adapted in 1981 on National Public Radio (NPR) as a full-cast radio program of 15 episodes, and in 1993 BBC Radio performed a 90-minute dramatization of the first two parts of Canticle. Then in 2012, BBC Radio adapted the first part of the novel into five 30-minute episodes (“A Canticle”). Miller remained reclusive, even avoiding family members, and over a period of more than forty years he never allowed his literary agent to have a meeting with him. Once, Miller wrote an appreciative letter to another author, praising his work, but at the bottom of the letter Miller added, “P. S., This does not mean I want to meet you!” (Bisson). While living on the beachside in Daytona Beach, Miller signed a contract for a second novel shortly after Canticle was finished, but the small advance of $1,000 may have been what caused him to set aside that project (“Saint Leibowitz“). Miller and his wife lived their private life in Daytona for 18 years after Canticle‘s success before he sent his literary agent sixty pages of the manuscript of the sequel, but Miller once again turned away from his novel. I believe this is about the time that I phoned him (“Saint Leibowitz“). Miller continued to live reclusively in Daytona for another ten years, apparently not working on his writing at all, and then sometime around 1988 an editor for Bantam Books contacted his literary agent and encouraged Miller to continue work on the novel, and this spurred him to life again, producing an additional 250 pages over the next two years (“Saint Leibowitz“). No one in Daytona knew that this great science fiction novelist was at work again in his beachside home, fighting persistent bouts of depression and writer’s block and feeling crushed by ambition to accept nothing less than excellence. When his wife’s health declined, the pressure to complete his novel must have been unbearable, and when she died in August 1995, Miller could write no more. He told his agent that trying to finish it was like “trying to spit through a screen” (Bisson). Miller’s literary agent was experienced in working with major writers. Ray Bradbury and William Styron were among his clients, and he apparently knew just how to ask Miller to trust him to place Miller’s manuscript with a novelist who would not re-write Miller’s work, so Miller agreed and told his agent, “Any idiot with a sense of humor can finish this book” (Bisson). Miller’s agent told science fiction writer Terry Bisson that Miller “had ‘hit a stone wall’, and Bisson was eager to work on the Miller’s sequel, saying, “Canticle is one of the few science fiction books not only known but read outside the field (unlike, say, Dune, or Stranger in a Strange Land” (Bisson). Bisson was handed a box with the 600-page manuscript which he said “weighed more than a small dog,” and he said, “It was brilliant. It was beautiful. It was almost perfect. . . It even had a title: Saint Leibowitz and the Wild Horse Woman” (Bisson). This week as I stepped out of my car, camera in hand, I paused a moment to appreciate this little house that had been Miller’s home. 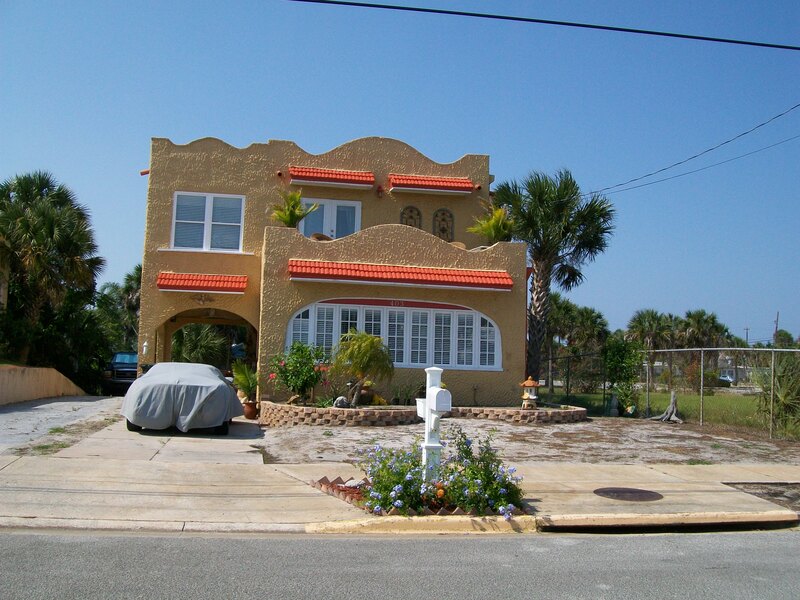 Inwardly, I smiled at this cozy wooden home on the Daytona Beach peninsula at 513 Hillside Avenue, just south of the Orange Avenue/Silver Beach approach to the ocean. I wondered if anyone inside was aware that Miller had lived and written there (Nolan 97). 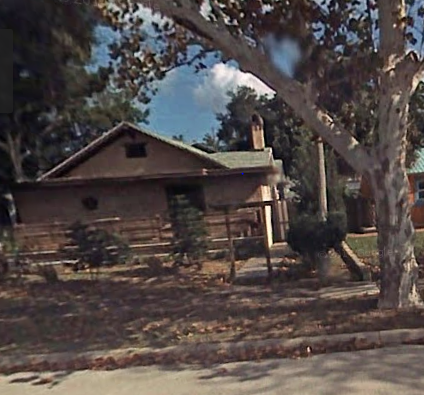 Next, I drove for about four minutes to Miller’s other beachside home at 403 Lenox Avenue, a few blocks north of the Orange Avenue/Silver Beach approach. It’s a mustard-colored stucco two-story house that abuts the southwest corner of an empty field that was the Lenox Avenue Elementary School when Miller was writing in this home. I wonder if any of those children grew up and read Miller’s Canticle (Nolan 97). Other than his World War II experiences, the most dramatic event for Miller occurred at his Daytona beachside home on the morning of January 9, 1996. After four months of depression following his wife’s death, Miller phoned 9-1-1 to report that there was a dead man on his front lawn, and when the Daytona Beach police arrived three minutes later at 8:32 a.m., they found Walter M. Miller, Jr., aged 72, seated in a chair on the lawn, dead from a single bullet shot into his brain (Streitfeld). Work on Miller’s sequel to A Canticle for Leibowitz was yet to be done, and he had turned his back on the novel a final time. Thinking of this, I’m reminded of Miller’s 1954 short story, “Death of a Spaceman,” whose main character says, “I want to be buried with my back to space, understand?” (Miller “Death”). Possibly to honor Miller’s wish to return to his beginnings, his cremated ashes were cast upon Mosquito Lagoon, not far from where he was born in New Smyrna Beach (“Walter M. Miller, Jr.” nndb). “A Canticle for Leibowitz.” April 15, 2014. http://en.wikipedia.org/wiki/A_Canticle_for_Leibowitz (accessed May 15, 2014). Aldiss, Brian W. Billion Year Spree: The True History of Science Fiction. New York, New York: Schocken Books, 1974. Bisson, Terry. “A Canticle for Miller; or, How I Met Saint Leibowitz and the Wild Horse Woman but not Walter M. Miller, Jr.” November 20, 1997. http://www.sff.net/people/tbisson/miller.html (accessed May 16, 2014). “Captain Video and His Video Rangers.” March 14, 2014. http://en.wikipedia.org/wiki/Captain_Video_and_His_Video_Rangers (accessed May 16, 2014). Miller, Walter M., Jr. “Death of a Spaceman” (1954) August 9, 2009. http://www.gutenberg.org/files/29643/29643-h/29643-h.htm (accessed May 16, 2014). Moskowitz, Sam. Seekers of Tomorrow: Masters of Modern Science Fiction. New York, New York: Ballantine Books, 1967. Nolan, David. “St. Augustine to Astor.” In Kevin McCarthy, ed., The Book Lover’s Guide to Florida. Sarasota, Florida: Pineapple Press, 1992. Samuelson, David N. “The Lost Canticles of Walter M. Miller, Jr.” Science Fiction Studies 3.1 (March 1976). April 19, 2013. http://www.depauw.edu/sfs/backissues/8/samuelson8art.htm (accessed May 16, 2014). “St. Leibowitz and the Wild Horse Woman.” April 8, 2013. http://en.wikipedia.org/wiki/Saint_Leibowitz_and_the_Wild_Horse_Woman (accessed May 15, 2014). Streitfeld, David. Orlando Sentinel. Oct. 9, 1997. http://articles.orlandosentinel.com/1997-10-09/lifestyle/9710080756_1_canticle-miller-novel (accessed May 16, 2014). “Walter M. Miller, Jr.” April 11, 2014. http://en.wikipedia.org/wiki/Walter_M._Miller,_Jr. (accessed May 16, 2014). “Walter M. Miller, Jr. (1923-1996).” February 2, 2013. http://www.kirjasto.sci.fi/wmiller.htm (accessed May 16, 2014).